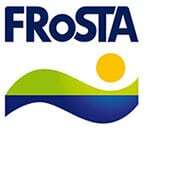 FRoSTA, known for its frozen products with the “Purity Law”, is extending its commitment to climate protection to its vehicle fleet. 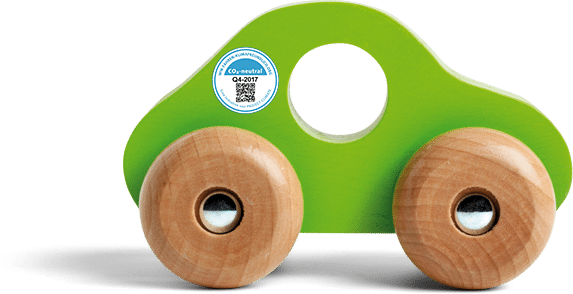 As the first major climate partner of PROJECT CLIMATE, FRoSTA offsets all unavoidable CO2 emissions of its vehicles by supporting a climate protection project. FRoSTA is committed to further avoiding and reducing its CO2 emissions by implementing efficiency measures. Since 1995, WertSicht has supported companies and institutions in developing their organisational structures in a value-oriented manner and in positioning themselves in an innovative and forward thinking manner. WertSicht has already consulted over 350 organisations of different industries and sizes with great success: reducing energy costs, reducing environmental pollution and protecting the climate. Since 1985, the Schweisfurth Foundation has been promoting innovative approaches for the development of sustainable farming methods: the preservation of holistic food quality, the promotion of a sustainable agricultural heritage and the respect for animals play an essential role in this. The Schweisfurth Foundation only uses very fuel-efficient company cars (e.g. an AUDI A2) and already avoids using a car wherever this is possible. The foundation offsets the unavoidable CO2 emissions with a climate protection project through PROJECT CLIMATE. With 52 low-emission hybrid and electric vehicles, Umwelt-Taxi-München operates Germany’s most climate-friendly taxi fleet. As climate partner of PROJECT CLIMATE, Taxi Center Ostbahnhof GmbH now even goes one step further: Unavoidable CO2 emissions are offset by supporting a climate protection project. Taxi customers can therefore contribute to climate protection in a simple way: instead of using a conventional taxi, they will be travelling with Umwelt-Taxi-München…at no extra cost! As a modern chemical company, DR.SCHNELL assumes a special responsibility towards people, the environment and society. In 2013, DR.SCHNELL was awarded the German Sustainability Prize as one of the top 3 most sustainable brands in Germany for three decades of lived sustainability. Through PROJECT CLIMATE, the company makes its vehicle fleet carbon-neutral. PRIOR1 is a specialist in planning, construction and operation of sophisticated data centers and feels a special responsibility to society. The company strives to reduce its environmental impact and the consumption of resources in its business operations as well as in its products and services to a minimum that goes beyond legal requirements. PRIOR1 offsets the unavoidable CO2 emissions with a climate protection project through PROJECT CLIMATE. For almost two decades Höppner Management & Consultant GmbH has been consulting companies on all aspects of corporate environmental protection and work safety. The team has extensive expertise in all areas of industrial safety and environmental law. In addition to topics such as waste, water and immission protection, HÖPPNER also advises companies from various sectors on the introduction of operational management systems to improve their environmental and energy performance. As a consulting company, HÖPPNER is particularly dependent on mobility. To offset otherwise unavoidable emissions, HÖPPNER supports a climate protection project that uses highly efficient fuel wood stoves. The aim of this project is to improve the living conditions of the local population, minimize health risks and prevent deforestation. regiobus Potsdam Mittelmark GmbH was founded in 2017 from the merger of various local public transport companies and has since been the largest regional bus company in the state of Brandenburg. The transport company attracts passengers through a consistent focus on high quality, integration with other public transport services and environmental protection measures and thus offers a real alternative to mobility by car in this rural region. Since 2017, regiobus Potsdam Mittelmark has also taken the last decisive step towards consistent climate protection: all passengers travel CO2-neutrally.